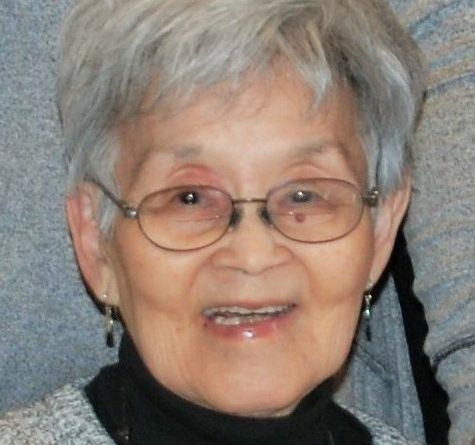 Fumiko Yabe Saito, age 95, of Stevens Point, died January 29, 2019. Born in Sacramento, Cali., Dec. 21, 1923, to Tomoko and Kazuto Yabe, she was the first born of four girls. From an early age, Fumi had a gifted voice. She learned how to cook and sew and was busy with voice lessons and rehearsals throughout her childhood and teen years. Fumi performed and won awards and recognition throughout Sacramento and Northern California and she graduated from Sacramento High School in June 1941. Throughout high school, she also took voice lessons as a coloratura soprano at Sacramento’s Pease Music Conservatory and that autumn began attending Sacramento Junior College. As an American of Japanese ancestry, Fumi and her family were interned during the spring of 1942 and it was in Tule Lake where she met and fell in love with her future husband, Perry Hitoshi Saito, of Aberdeen, Wash. In 1944, she got out of camp to attend the highly-selective Curtiss Institute of Music in Philadelphia for summer school. After she and Perry married in Chicago, they both went to Illinois Wesleyan University. They lived in Illinois and in 1951 moved to Beloit, Wis. In 1954, Fumi and Perry moved to Stevens Point and stayed here until 1965. Fumi fulfilled her dream to sing opera, taking the lead in Stevens Point’s Central State College (now UWSP) production of “Madame Butterfly” in 1961. A year later she played lead yet again in “Taming of the Shrew”. Fumi’s husband Perry passed away in 1985 and it was then that she returned to her beloved Stevens Point in 1986. Fumi was a member of St. Paul’s United Methodist Church and volunteered at St. Michaels Hospital for over 20 years. She was affiliated with Methodist choirs throughout Wisconsin. If there wasn’t a children’s or youth choir at the church where they served, she would start one and she actively participated in their church adult choirs and many community choral groups. Fumi enjoyed the company of her P.E.O. sisters, having joined the sisterhood in 1953. Fumi’s passions were singing, sewing, cooking, playing bridge, travel, and her family. In addition to her singing and performing, Fumi was always stylishly dressed, sewing her own stunning dresses and outfits, coats and jackets, blazers and slacks. Fumi would knit sweaters and caps, sew placemats and table runners, usually brightly colored with unique cuts and trims. She enjoyed traveling in Japan, Europe, Canada, and Mexico. In the 1950s-60s, she and the family camped all across the U.S.
A Celebration of Life Service will be held St. Paul’s United Methodist Church, Stevens Point, WI, on April 27, 2019, at 11 a.m. with light lunch to follow the service. A time of visitation will precede at the church from 10:00 am until the time of service. Rev. Tim O’Brien of the St. Paul’s United Methodist Church will preside.